Hadas Mizrahi, widow of slain police chief Baruch Mizrahi, reflects one year after her husband's murder. 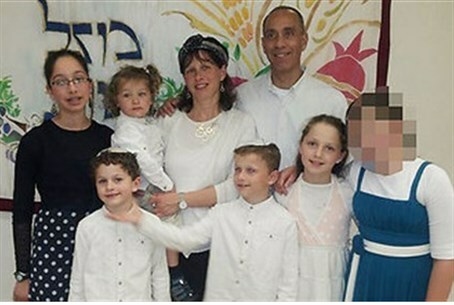 Nearly one year has passed since Chief Superintendent Baruch Mizrahi, the head of the Technology Unit in the Sigint Unit, was murdered - as he, his pregnant wife, and three children were driving to Kiryat Arba for a Passover seder meal. Mizrahi's murder caused a major outcry among Israeli public and politicians, who called for Prime Minister Binyamin Netanyahu to stop peace talks in the murder's wake. Hadas Mizrahi spoke to Channel 10 on Wednesday about the murder, as she looked back over the past year. She, too, had been severely injured in the attack - but she spoke mostly of Baruch. "I know I will have to organize the trip [to Kiryat Arba for Passover - ed. ], but it will be very, very hard," she stated. "It will take me back to last year." This year, she says, they will steer clear of Route 35, but the memories will stay with her. She added that they will try to keep their routine on Passover (Pesach), as well as keep Baruch's memory alive. "We will do a Pesach play about the Exodus before we begin to talk about Dad, and try to mix joy in with the sadness," she said of the Seder. Last year, shortly after the attack, Hadas described the sequence of events in a Channel 2 interview. Hadas Mizrahi took to the media to campaign for public support for the demolition of the home of her husband's murderer, Ziyad Awad. Awad was serving a sentence in an Israeli jail but was freed in 2011 as part of the Shalit deal. In retaliation, Awad's home was destroyed in July.